Since the beginning of fall I have drank an enormous amount of pumpkin spice lattes and frappuccinos, have roasted several sugar pumpkins to make my homemade pumpkin puree and have made this pumpkin pie twice. And we still have two more months of fall, which means that the pumpkin festival will continue at my house. 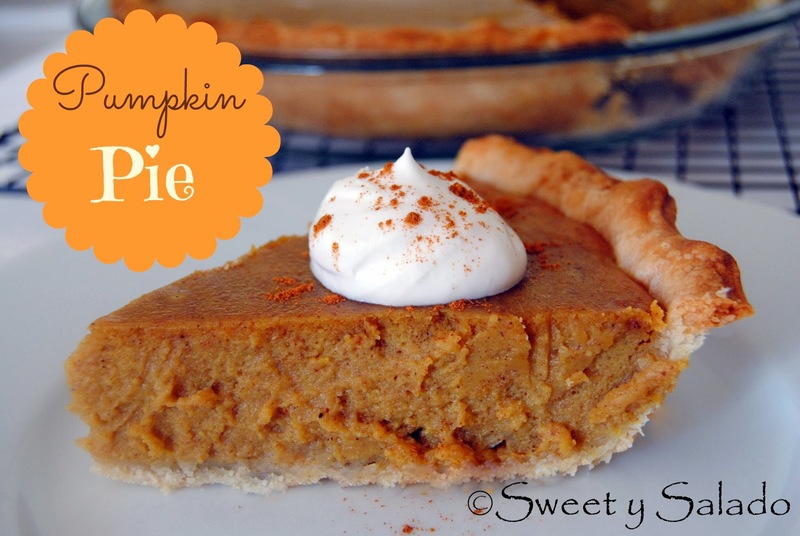 In previous posts I showed you how to make the key ingredients needed to make this recipe, which are: how to make a pie crust, pumpkin puree and pumpkin pie spice. Many of you should be able to get any of these ingredients at your local grocery store here in the US, but for those of you who can’t get your hands on them or prefer to make them at home, all you have to do is click on the links and they will take you to the recipes. Until a few years ago I used to make this pumpkin pie with evaporated milk, which is one of the basic ways of making it. But then I decided to use sweetened condensed milk and egg yolks to give it a smooth and sweet taste, as well as a firmer consistency. The end result is amazing, especially when served with a nice portion of homemade whipped cream. 1. Pre-bake pie crust at 425ºF (220ºC) for about 8 minutes. 2. 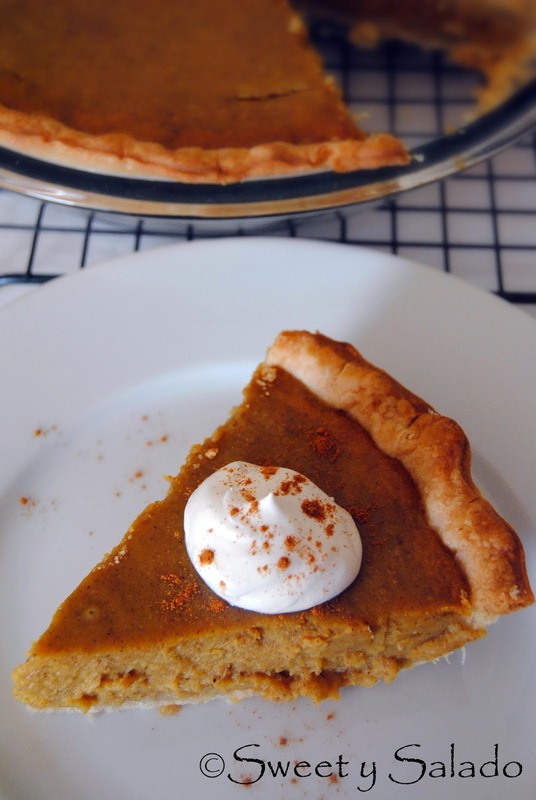 While pie crust is baking, in a large bowl mix the pumpkin puree, sweetened condensed milk, egg and egg yolks. Then, add pumpkin pie spice, cinnamon and salt. Mix until all ingredients are well blended. 3. After having pre-baked pie crust for 8 minutes, take it out of the oven and pour pumpkin batter into pie crust. Bake at 425ºF (220ºC) for 15 minutes and then reduce the temperature to 350ºF (180ºC) and bake for 35-40 minutes or until a knife inserted in the sides comes out clean. 4. Once the pie has baked, take it out of the oven and let it cool completely before serving. You can serve it with homemade whipped cream. Thanks for this great recipe! I have been doing it for several years already since I found your site. My kid has annual Helloween party with his friend tradition and this pie is part of this tradition already. I make it twice this day – for the party and for the family!